Expect the alloys to be priced around Rs 12,000 while the auxiliary lights should be around Rs 3,000 Rs 4,000. Currently, only the Thunderbird 350X, 500X feature alloy wheels as standard while the Classic range gets them as an accessory. The above-mentioned add ons may come with a 2-year warranty as standard. 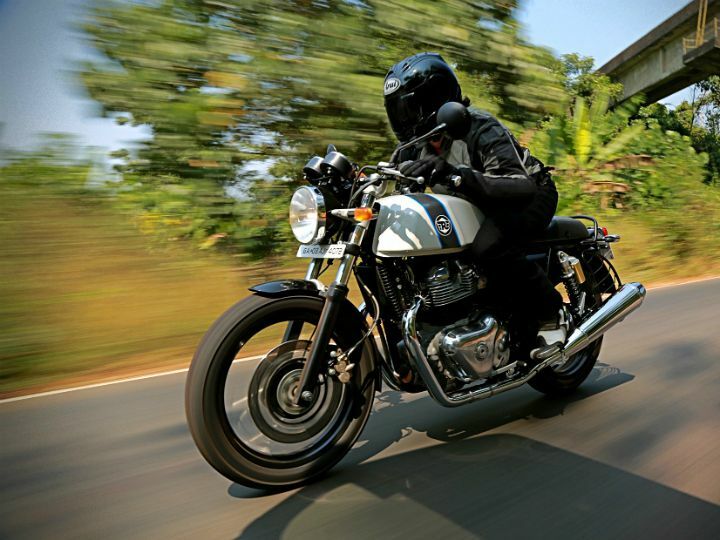 Sources suggest that Royal Enfield is working on offering the Interceptor 650 and Continental GT 650with a couple of accessories to help them cope better with Indian road conditions. The add-ons include new alloy wheels and auxiliary lamps for both bikes. The new set of alloy wheels will enable customers to equip their bikes with tubeless tyres rather than the tube-type tyres that the current spoked wheels are offered with. We’ve already spoken about the upcoming alloy wheels in detail, you can read all about it here. Currently, the only bikes to feature alloy wheels as standard in Royal Enfield’s lineup are the Thunderbird 350X, 500X. The Classic range gets them as an optional extra. Both the Royal Enfield Interceptor 650 and Continental GT 650 feature conventional halogen headlamps which aren’t up to the mark in terms of illumination. Presumably, the brand seems to be addressing this issue by providing a set of auxiliary lights as an add-on. The fact that they come straight from the factory means it won’t void the bike’s warranty since there’s no intervention from a third party company. Moreover, they should provide better illumination at night when compared to the halogen units. While there’s no official price list from the company just yet, we could expect the alloy wheels to be priced somewhere around Rs 12,000 while a pair of auxiliary lights shouldn’t be more than Rs 3,000 to Rs 4,000. Much like any other Royal Enfield accessory, the upcoming add-ons may come with a 2-year warranty.